The Pyramid Hill Fiesta is on again, Saturday 23rd March from 2pm-8pm. Tickets are $5 for adults or $20 for families. No BYO. This year some things will be the same as previous years but there’s so many new things too. 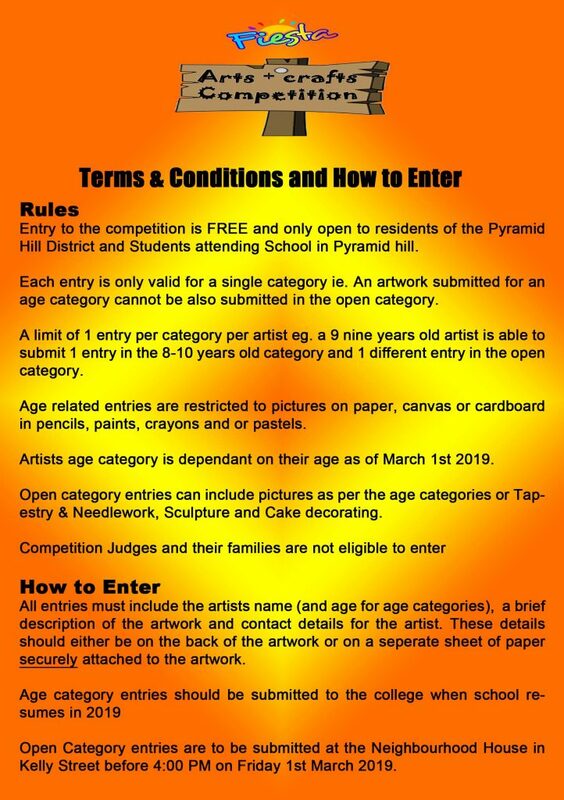 We invite you to like our Facebook Page Pyramid Hill Fiesta 2019 , and share it with your friends. The Pyramid Hill Fiesta is a multi-cultural extravaganza, packed with exciting entertainment, music, dance, costumes, children’s activities area and a variety of delicious food and drinks stalls. We invite you to come and enjoy what our community does really well. 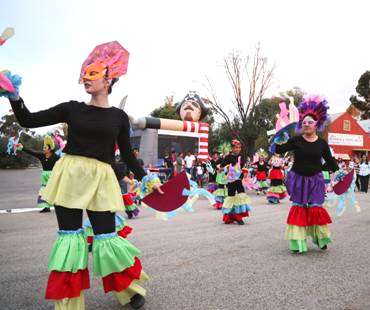 With a line up of exciting activities, entertainment and competitions, you’ll be sure to have a fantastic time. 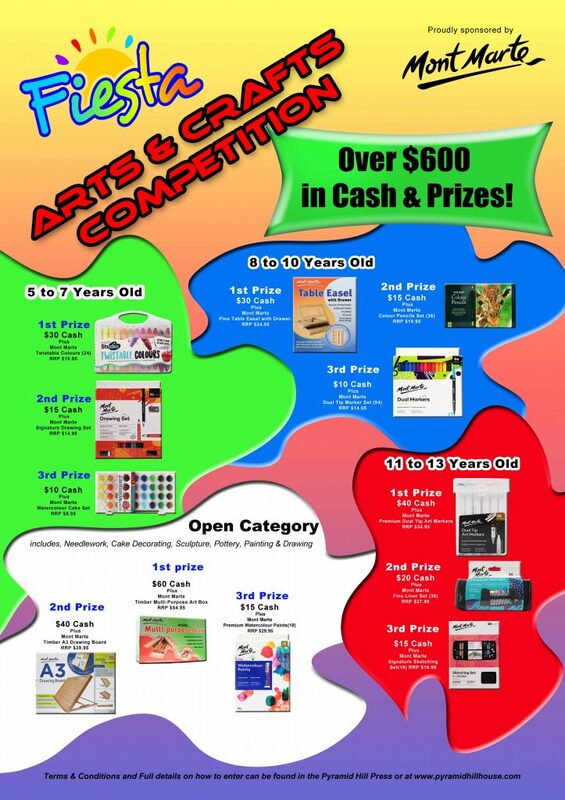 There is additional content coming soon about further prizes that have been sponsored by an art supplier but we need to work out their logo/marketing material to be placed with it.